There are a number of things that could damage a plumbing pipeline, and instead of trying to fix the issue based on a guess, we use this new technology to make better informed decisions to get the problem fixed right the first time. We always work with the customer’s interests in mind. 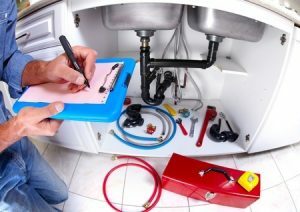 If you need quality plumbing services in Bel Air or the West LA area, contact Sunset West Plumbing & Rooter today. Our plumbers will do a thorough inspection to find the source of the trouble, whether it is accumulation of debris, a bent or collapsed pipe, or a tree root that is grown through the line. If there is water flooding your yard or the sinks are backing up, contact us now to get fast and reliable service. Updated on June 15, 2016 at 2:41 pm by Sunset West Plumbing & Rooter.